Five smart steps to make the digital era work for brick-and-mortar stores, from Google’s Bonita Stewart. When it comes to channeling the power of technology to inspire business growth and success, Bonita Stewart is an expert. As Vice President, Americas, Partner Business Solutions at Google, Stewart helps brands create online campaigns that do more than engage consumers across multiple platforms; they generate revenue from digital content. 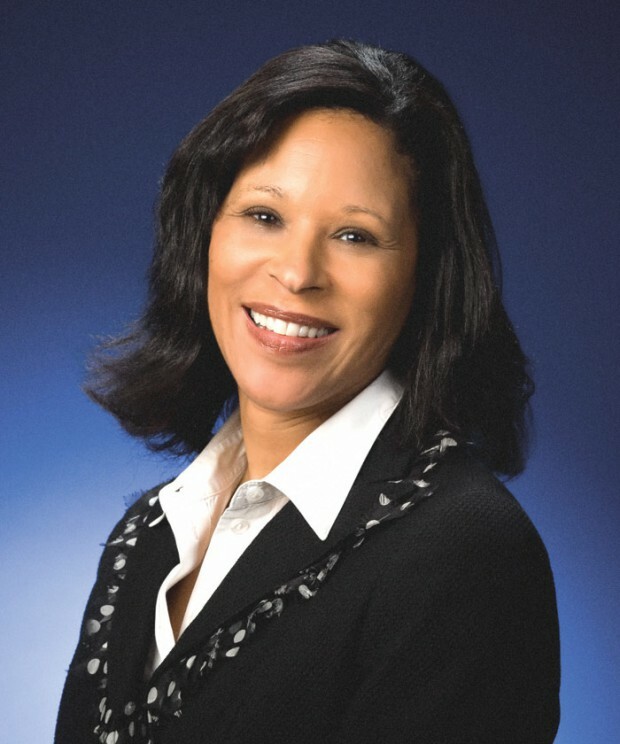 In her current role, Stewart draws from an extensive business and marketing background that includes an MBA from Harvard Business School and years as a marketing expert in management for IBM as well as DaimlerChrysler. The Denver native also founded and oversaw her own successful web-based company before joining Google. This month, she shares five smart strategies retailers can use to not only survive, but thrive in today’s fast-paced digital-centric world. With the proliferation of mobile devices, consumers are connected 24/7 and so are stores. “Google has a division that focuses exclusively on retailers of all sizes, and what our data shows is that shoppers are spending much more time researching online than ever before,” says Stewart. “Our research shows that 42 percent of in-store consumers conduct research online before they shop, 93 percent of them go on to buy and—most important—50 percent purchase within the hour.” What’s more, searches that include the words ‘near me’ have increased two-fold over the past year, she says. Consumers are not only spending more time researching online, but their searches are increasingly moving to mobile and they’re making purchase decisions very quickly, Stewart points out. “They have the opportunity to find new and interesting things close to them through technology.” The vast majority of consumers still buy in-store, but they’re gathering information about their in-store purchases through tech platforms before they make them. Start to track the shopper’s journey, she suggests. Go online yourself and see how you look to consumers as they’re going through the purchase process. Put yourself in their shoes. “That’s always quite an eye-opener,” Stewart notes. Also, recognize the increasing importance of mobile technology and start to understand the multiple devices consumers may be using. “At one point, it’s the smartphone. At another point, it’s the tablet. At work, it’s the desktop. At home, there’s interactive TV,” says Stewart. “Another important trend we’re seeing at Google is a shift from long sessions on the desktop to short bursts of activity driven by mobile devices,” Stewart explains. “Now that consumers have mobile devices that are always accessible and always on, these micro-moments play a pivotal role in purchase decisions.” To be successful, retailers need to figure out how to deliver the best experience for the customers in these brief moments, she says. Recognize that consumers are using their phones to make decisions about their in-store purchases and that their expectations are high. Stewart’s advice? Find out what’s going on, especially with consumers. Be more courageous in terms of looking at new, emerging technology and online marketing that might give you a new perspective and help you stay abreast of trends that are occurring. Consumers have an abundance of choice, so they are in control when it comes to how and when they interact with brands, Stewart notes. That means retailers need more than a great product. They also need to make sure they stay relevant and useful. Start by exploring all the mobile platforms to see yourself through a potential customer’s eyes. How would a customer engage with you through technology? “It might sound challenging, but it’s actually exciting for retailers,” says Stewart. “Engagement offers a tremendous opportunity for retailers. There are so many creative ways you can engage with consumers that enhance your product offering and service and promote a sale at the end of the day. “When consumers are actively engaged with your store or your brand, it’s a powerful thing,” she adds. YouTube is a perfect example of this concept in action, Stewart says. YouTube has more than a million channels and millions of users who go to the site to find product review content related to all aspects of retail. In fact, reviews on YouTube have grown 50 percent year over year, according to Google data. Even with the rise of online buying, in-store retail still accounts for 90 percent of all sales, according to Google studies. What’s more, many online pure-plays are now adding brick-and-mortar stores. Retailers need to follow their lead—albeit, in reverse—and take an omnichannel approach. “That means investing in a great online and e-commerce experience and understanding how your digital strategy impacts your in-store sales,” advises Stewart. Ugg stores are a great example of this approach, in Stewart’s opinion. “They’ve been experimenting with tablets not only to connect with consumers from an omnichannel perspective but to better utilize the store itself. It gives them the opportunity to have a smaller footprint but infinite inventory the customer can see on the tablet and order right then in the store,” she says. I’d call it Denver-meets-New York City. I try to be as chic as I can within New York standards, but I grew up in Denver and at some point I fall back on that Denver casual aesthetic. Like I said, I’m a Denver girl. Ugg has always been important to me for its amazing comfort. The Road to Character by David Brooks, but I just got my copy of Harper Lee’s new book, Go Set a Watchman, so I’ll be reading both of them. My all-time favorite book is As a Man Thinketh by James Allen, though now it should probably be re-titled As a Man or Woman Thinketh. I love ballet. I’ve been dancing as a hobby for years. Have you learned any lessons from ballet that have proved useful in the business world? There are two major lessons. First, ballet requires focus, discipline and grace, even when you fall. It teaches you how to get up and get back into the rhythm. That’s an important skill when you’re in technology because it’s an inevitable part of experimentation. The second lesson is knowing how to be part of the corps de ballet. You don’t necessarily dance solo. From a work perspective, collaboration is essential.